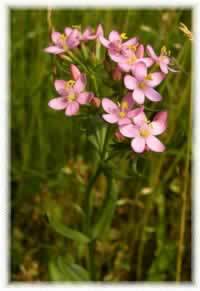 Centuary is used extensively in dyspepsia, for languid digestion with heartburn after food, in an infusion of 1 OZ. of the dried herb to 1 pint of water. When run down and suffering from want of appetite, a wineglass full of this infusion The same infusion may also be taken for muscular rheumatism. Recipe Instructions: Herbal Tea :taken three or four times daily, half an hour before meals, is found of great benefit.